CHATTANOOGA, Ten. 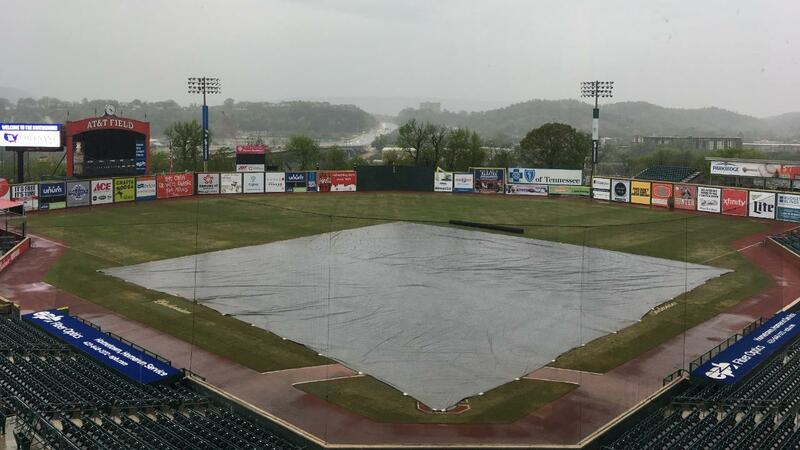 - The Biscuits were rained out in the fifth game of their series against the Chattanooga Lookouts on Monday night at AT&T Field. The game will be made up as part of a doubleheader when the Lookouts visit the Biscuits between June 12 and 16 at Riverwalk Stadium in Montgomery. The Biscuits return to Riverwalk Stadium for a five-game home stand against the Biloxi Shuckers on Wednesday, April 10 for Opening Night presented by Chick-Fil-A featuring Dueling Pianos and MAX Fireworks at 6:35 PM CT. The home stand will also feature a Club Car Bar T-Shirt giveaway on Thursday, April 11 at 6:35 PM, Teacher Appreciation Night and MAX Fireworks on Friday, April 12 at 6:35 PM, Mardi Gras Night and MAX Fireworks on Saturday April 13 at 6:05 PM, and Jackie Robinson Day featuring a Kids T-Shirt Giveaway presented by AKD at 2:05 PM.